When I think about the Sac-Joaquin Section this past season, I think about the things that we should appreciate about this section. I will start with Jesuit coach Walt Lange. This past season was his 49th year at the school and 48th as its head cross country coach. 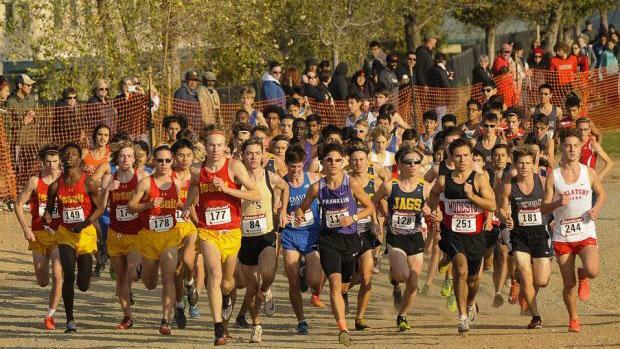 During his time at the school, Lange has been enormously successful with multi-individual state champions in both cross country and track and field as well as a record-tying 9 team titles at the California state cross country meet. You can check out my interview with coach Lange at this LINK and you can read more about him on his profile in our CA Coaching Legend series at this LINK. Along with his success as a coach, Lange has also been an innovator and has been a mentor for many of the top coaches in the section. Among his contributions, Lange has posted interactive maps of many of the best cross country courses in California. You can find that playlist at this LINK. He has also videotaped many of the top performances during both fall and spring seasons and you can check out his latest work at the video below. We should also appreciate the individual talent that has come out of this section and this year, two of the all-time bests competed and represented the SJS. Jesuit junior Matt Strangio roared to the Division I state title two years after Armijo's Luis Grijalva won the same division. You can check out a two part interview with Strangio at this LINK. Del Oro freshman Riley Chamberlain posted one of the all-time bests freshman seasons for a girl in California history. She also won an individual state title and suffered just one loss during her California season. The Vista del Lago girls won their first state team titles in Division III after dealing with less than ideal training conditions leading up to the section and state finals. You can read my interview with their coach Robert Grove at this LINK. In 2017, Del Oro junior Brayden McLaughlin finished in 93rd place in the Division III race with a time of 17:02.8. I am sure this was quite disappointing to him but he more than made up for their effort this past season with a 3rd place finish and a new personal best on the Woodward Park course of 15:26.9. Lastly, I want to also mention St. Francis junior Isabella Fauria. She missed almost a year and a half of running due to injuries but rebounded nicely to help lead her team. At the California state cross country meet, Fauria finished a very satisfying 10th place to make the podium as an individual.